They say that in the North-West you can watch blackberries grow. For some people they’re such a problem that gardens are overrun, acreage is lost, even houses are swallowed whole by them. Well, after 22 years training as a druid, Frank Michaud learned to tame the savage vine. 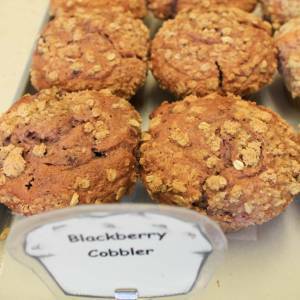 In dark forests he is known simply as the Blackberry Cobbler, or as the repairer of souls to some who find his muffins spiritual in order, life saving in function, and deeply rooted in pagan delight!